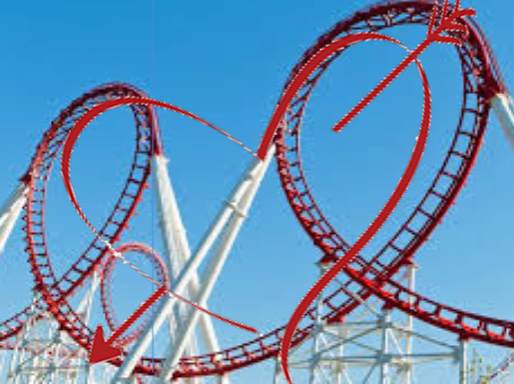 ‘Tis the season for love but not a lot of love’s been lost on volatility- markets’ long forgotten Valentine-in the gallons of ink that have been spilled on why it happened and reassurances that “it’s OK, don’t panic”. While we would not be qualified to call this the beginning of the end to an era of market tranquility, we remain alert to a paradigm shift in market undercurrents. While the world is awash with many concerns -protectionism, trade wars, populist uprisings, conflicts in Mid-East, Africa, Asia etc.- the great unwind ($23tn, equivalent to 29 per cent of global stock market capitalization, or 43 per cent of the world’s tradeable fixed income securities, according to Renaissance Capital) or Quantitative Tightening, is quite unprecedented adding to the uncertainty overhang. As we know, QE also engendered locking up of “lower for longer yields” (e.g. zero coupon perpetual bond issued by a Hong Kong Insurance company) by both corporate and sovereign issuers in DM and EM. While it is difficult to speculate how and when this unwind, global credit binge and our renewed commitment to fiscal stimulus will play out, suffice it to say that the knock-on effects are likely to be felt every so often not just in equities but across other assets-fixed income, forex, commodities etc. Probably then, the market gyrations of the last couple of weeks is a harbinger for things to come. In other words, we should not be surprised to see an increasing average size of market moves that’ll bring about price fluctuations higher relative to the average level of price swings. If volatility is here to stay and only gather momentum from this point on, traditional investors might brace for volatile times ahead. But for alternative investors, especially in EM, it’s probably opportune to rediscover our love for vol. History is rife with examples that EM has been the epicenter of volatility with sovereign defaults, currency devaluations, etc. roiling global markets. This time was different as neither did EM trigger any volatility nor did its strong fundamentals let EM equities and bonds suffer any worse downdraft. That said, EM continues to offer a fertile playground for volatility. While domestic factors for EM growth remain strong overall, rising yields/cost of borrowing could hurt EM borrowers as much as a strengthening dollar could dent export earnings in the near term (till the dollar bears prove right). Trade protectionism is yet another looming threat to economies and currencies of US trading partners in EM e.g. Mexico. The indomitable influence of China, (a third of all emerging markets equities index) on all EM and DM cannot be understated. China’s domestic and overseas overtures have wide ramifications and likely to weigh on global markets in ways, good and bad. In a bid to control interest rates, the yuan and speculative activity, temporary SHIBOR/HIBOR (Shanghai and Hong Kong Inter-Bank Offered Rates, respectively) spikes as witnessed in 2016-2017 can reoccur anytime impacting liquidity conditions in HK and beyond. Also, the recent resumption of China’s qualified domestic limited partnership (QDLP) to allow domestic savers to buy overseas assets through approved global managers could inflate assets though remain open to shocks from any erratic behavior of Chinese authorities to stem capital outflows, a movie that we have all seen many times before. Similarly, India while remaining a darling of most traditional investors, could see its proliferating legion of domestic retail investors over-react to a host of issues: recent re imposition of capital gains tax after a hiatus of 14 years, any slowdown from demonetization and recently imposed goods and services tax, RBI’s policies to combat rising fiscal deficit, retail inflation, and growing pile of bad debts in public sector banks, etc. Matters like Brazilian pension reforms awaited next week create uncertainty for Brazil’s decision to further cut its Selic rate. Political struggles mar Kenya, South Africa etc. portending volatility arising from a heavy political calendar especially across CEEMEA. In other words, EM offers both indigenous reasons for future volatility while also remaining exposed to the contagion of DM. So, what’s to love about vol.? It was not too long ago that active traders were constantly complaining about the conspicuous absence of vol. to the point that it was distorting market behavior. With the QE tide lifting all boats, nothing else mattered. Algorithm driven trading dominated turnover across the world with growing popularity of index investing accentuating the shift. Passive and quantitative trading strategies account for 60% of equity assets, up from less than 30% a decade ago, causing crowds of cap-weighted indexers to load up on the same stocks thus further suppressing market volatility. Rounding it out, smart beta strategies based on non-cap weights (e.g. dividends, cash flows, sales etc.) with a value tilt, stepped in to buy those that were underweight thus driving equities even further to precariously over-valued levels. The passive cult drove market efficiency, market directionality, and correlations higher, shrinking fundamentally driven active trading and consequently, trading volumes. But if this is the onset of increased volatility, fundamentals should reassert with a weakening safety net from quantitative easing. As a 1998 (before the era of “massive-passive”) University of California, Berkeley study titled “Volume, Volatility, Price, and Profit, When All Traders Are Above Average” points out, traders who are overconfident about the quality of their information and their ability to interpret publicly disclosed information (and don’t over-trade), reduce market efficiency, opening doors for price discovery, trading volume and market depth. As most trading desks like Goldman Sachs, JP Morgan etc. have been lamenting on how stricter regulation is causing a secular decline in their FICC business (fixed income, currency, commodity), an active trading environment can help trading desks to price securities better (particularly ones with limited liquidity as in EM), measure risk associated with spread, react quickly to changing market conditions, and provide liquidity. Thus, with improving volumes price discovery is poised to come back. Value investors can now be the marginal buyers that set prices for securities based on fundamentals. This could manifest itself in multiple ways for EM (including frontier markets) that presents a diverse set of ~50 countries each with its own capital market, monetary policy, currency, etc. To add, there are many idiosyncratic opportunities that are too small and specialized for those managing huge amounts of capital i.e. traditional asset managers. EM alternative investors can adopt short, intermediate, or slightly longer time frames to develop trades to generate alpha through longs and shorts in multiple asset classes-equities, fixed income, rates, forex, commodities. On the ground investors can opportunistically trade relative relationships of certain assets versus others. These “relative value” or “mean reversion” strategies can lock in attractive valuations in dislocations till the securities reprice or correct. For instance, managers may execute carry trades by going long one higher yielding asset and short a lower yielding one, or long a weak currency with strong fundamentals, short a currency at risk of portfolio outflows from an equity market correction or for the same issuer, short the over-valued stock, long the bond enjoying a technical bid. As discussed in our last post, Spreading for Spread: EM Long/Short Corporate Debt, investors can benefit from any intermittent spread widening with rising volatility, on both the long and short sides, a different place from traditional investing. EM alternative investors with longer locked-up dry powder can buy the proverbial baby thrown out with the bath water though need to avoid catching a falling knife. It makes a good recipe for a stressed/distressed play allowing time for spread compression or some form of corporate restructuring yet again outside the purview of traditional EM debt investors. Prudence suggests that just in case temporary dislocation turns ugly into a systemic risk/rout (not conceivable by consensus at this point), leverage used should be low, limiting its use based on volatility and liquidity of underlying instruments. It would be important to scale in, and adopt trading stop-loss limits. Also, hedging portfolios via out of the money puts/calls and credit default swaps could protect against market risks. With choppy markets, margin calls become rampant and margin lending declines, especially for less liquid securities. Thus, once again private lenders can be liquidity providers at attractive rates and LTVs to those seeking margin share financing as well as other borrowers facing a shortage of dollar funding through regular banking channels. As mentioned above, banks’ inventories especially of corporate bonds have been declining creating situations when investors of all stripes want to turn things into cash, with few willing to take the other side of these trades. So, EM focused hedge funds can step in as liquidity providers in such dislocated situations. Therefore, it’s timely to recognize how the stars are aligning for increasing volatility ahead, creating a lucrative atmosphere for fundamentally driven, trading-oriented, and private credit EM alternative strategies. Hedged equities and a relative value approach across asset classes especially in EM are worth a serious consideration beyond the blind love for just long equities, and EMD that have witnessed massive flows and now face risks from a rebounding dollar and US rates. Hard that it might be to break up with one’s old loves-FOMO (fear of missing out) and TINA (there is no alternative-to long equities)-it’s probably time to move on and embrace market’s tough love i.e. vol. ÊMA continues to remain responsive to investors’ continued search for return premiums and is seeking “lovable themes” amidst rising volatility conducting independent investment audit on regional EM alternative specialists for the benefit of LPs. Stay tuned. Here’s wishing you and your loved ones, a Happy Valentine’s Day!